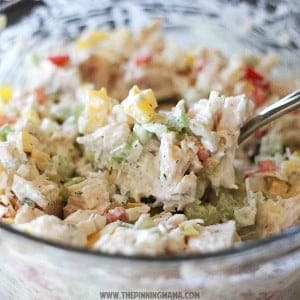 Mix the chicken, mayonnaise, and seasoning together in a medium bowl until well blended. Stir in the celery, peppers and onion until mixed evenly. Chill 1 hour to let flavors meld.